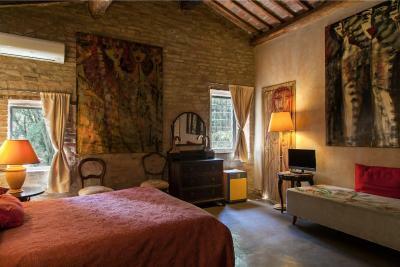 Lock in a great price for Relais Residenza D'Arte - rated 9.4 by recent guests. 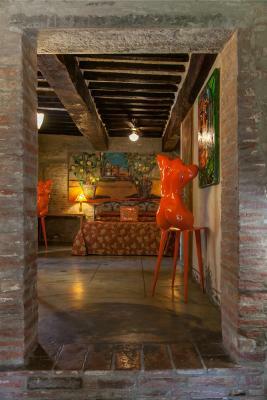 A great art site with a hotel. 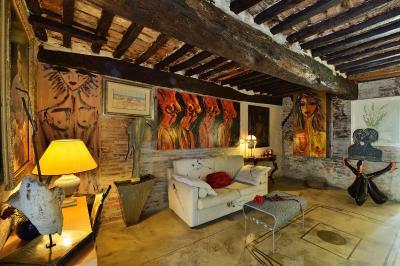 Nice cosey room full of art. 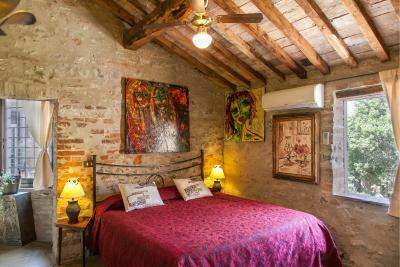 Comfortable bed, a small but very tastefully decorated bathroom. Amaizing art both outside and inside the hotel. 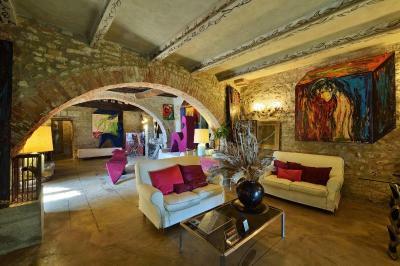 The location and the restored monastery turned artelier, gallery and accommodation is stunning! However, it's the family behind it all- artist, husband and daughter who made this place one of the most authentic and rich experiences of our Europe trip thus far! 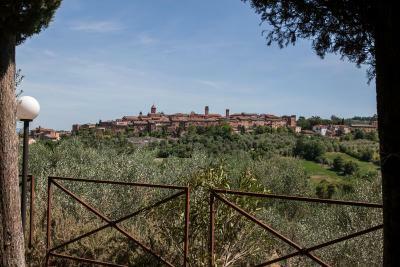 When exploring Chianti and Tuscany I would recommend it to anyone! 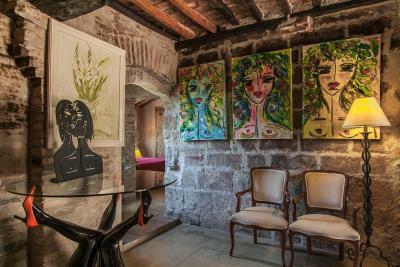 Residenza D'arte is really special and unique place to stay, every corner of the building has its own character with the piece of art of Anna. 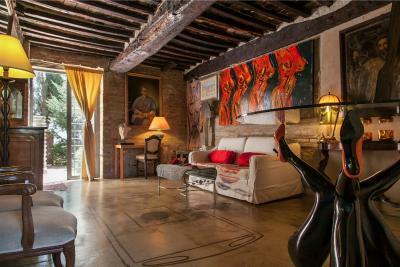 If you are looking for an special place to stay in couple this is definitely your place. 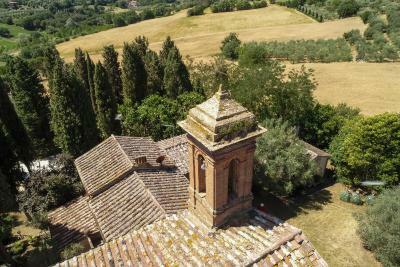 We spent three days and Anna and his family make us feel to stay in the house of really italian family.The location is perfect very close to the highway, easy to arrive and well located to visit vall d'Orcia. 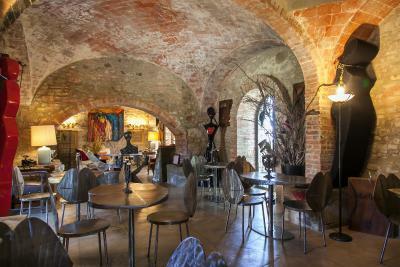 They give us very convenient recommendations for visiting the area out of route Bagni Vignoli, Rapolano termes were we spent a wonderful afternoon, as well as fantastic recommendations for dinner Breakfast is fantastic with local products and the variety is changed every day! Thanks for discovering us the real Toscan! 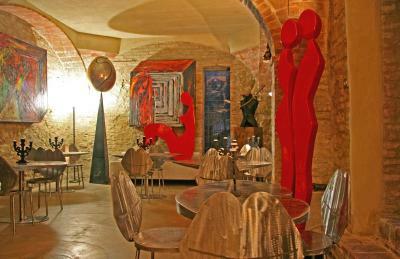 You can loose yourself for hours in the amazing art pieces and Nature landscape that surrounds you. 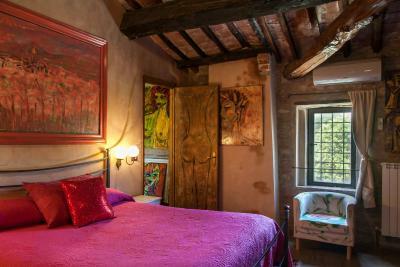 Each room is uniquely decorated and makes you feel special. All the design was chosen with love and care. 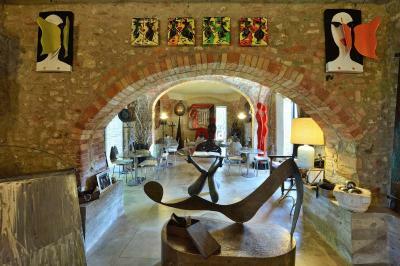 Once you meet the owners, and the artist in particular, you are right away transported to the Italian warmth and you feel that you can stay here forever. I will never forget this experience of leaving so inspired by a place and its people and I cannot wait till I come back! 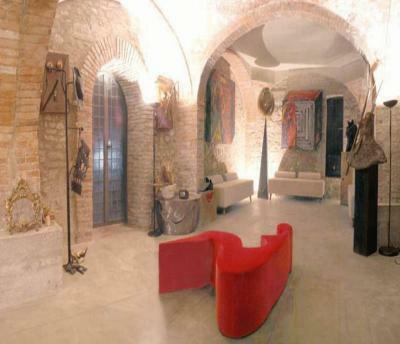 Unique, extravagant, beautiful, full of incredible art place. 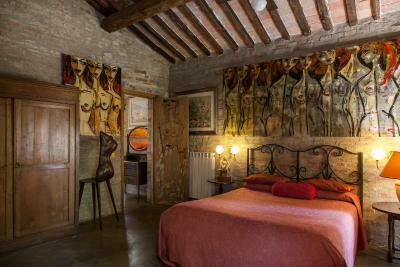 No need to think twice - book it as you will have the most amazing time not only exploring all 300 art masterpieces, but nearby surroundings of the one and only - Tuscany! Very beautiful views, well sign posted in town to lead you to the hotel. Very lovely family that own the hotel. Very helpful, gave us map and where to visit advice etc. Room very beautiful. 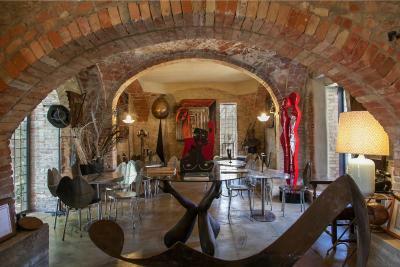 Whole place full with owners art work. Very unique place. 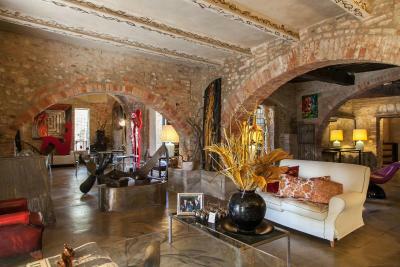 Staying at the Residenza in the hills of Tuscany was the best part of my trip. 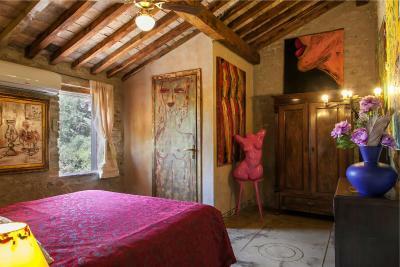 It is located in beautiful countryside, with many old towns in short driving distance. One town is in walking distance and it's a beautiful view as well. 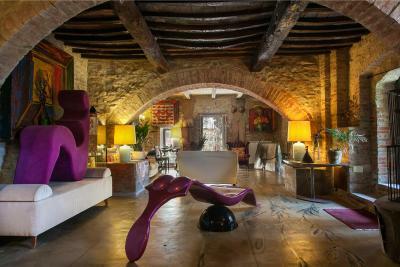 The Residenza itself is the most unique place you might ever stay at. Our room was under a church. 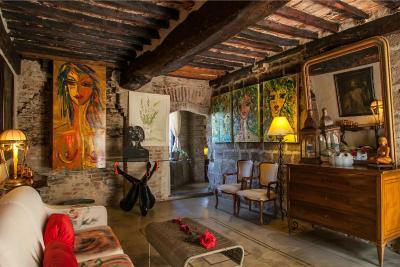 There is original art by the owners in every room. The family that owns and runs the place, as well as the staff, Cecilia, were incredibly welcoming and helpful. They went out of their way to help us figure out transportation to see nearby towns (don't forget your international drivers lisences :) ). Just positive impressions from staying in this place. The guests are a small and social community, and many of them are regulars, which says a lot. 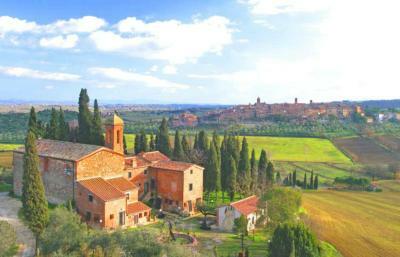 I myself would like quite a bit to be a regular in Tuscany and in this great place. 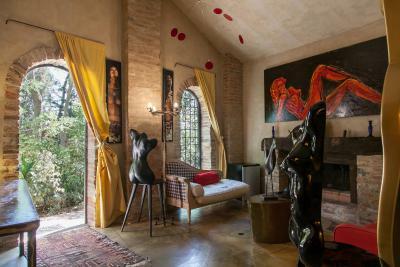 Beautiful scenery, beautiful rooms full of artworks, beautiful and caring people! We enjoyed the place 100%. 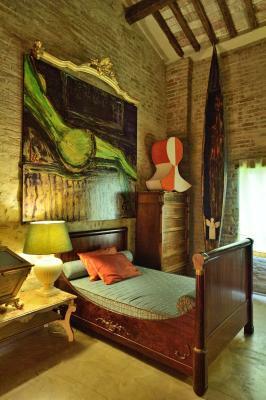 The room we sleep in is like art museum. Breakfast was wonderful. 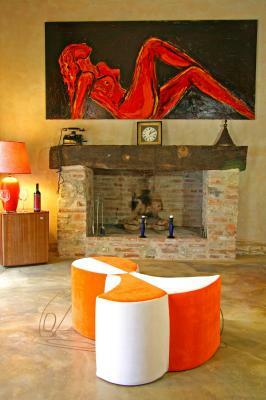 The hosts were very caring, generous and treat customers like family. The most beautiful and nice hotel we have ever stayed! 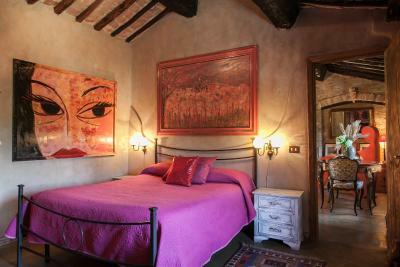 Relais Residenza D'Arte is a beautifully decorated guest house set in a 13th-century building of 2 floors. 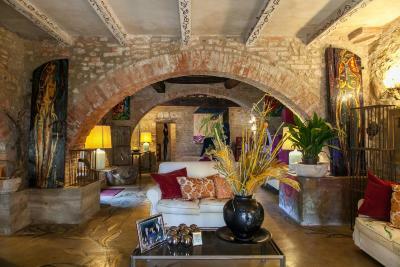 It is 5 minutes' drive from Torrita di Siena, and 6.8 miles from Montepulciano. 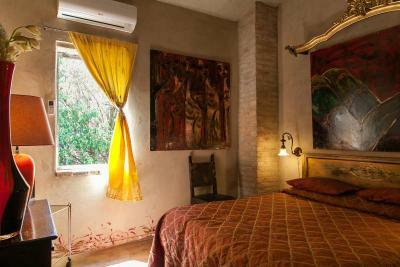 Rooms offer views of the large gardens. 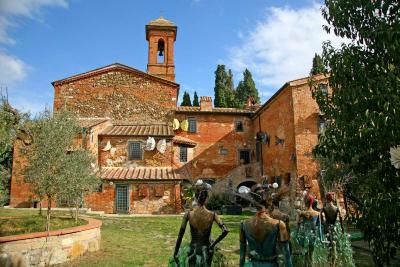 The gardens of the Residenza D'Arte are complete with artwork and sculptures, as well as typical olive trees. There is a gazebo equipped with tables and chairs. 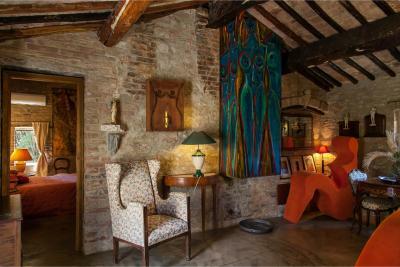 Rooms are rustic and colourful. 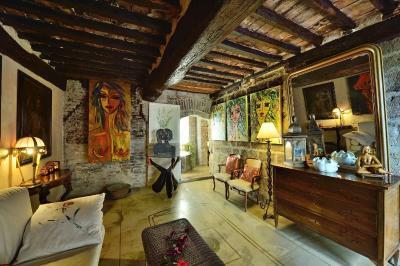 They offer air conditioning, a minibar, and a flat-screen TV with satellite channels. Free Wi-Fi is available in the lobby. Breakfast is a sweet and savoury buffet, including homemade cakes, cheese, and cold cuts. It is served daily in the breakfast room. The property offers free parking. You have free use of the swimming pool of a partner hotel, located 3.7 miles away. 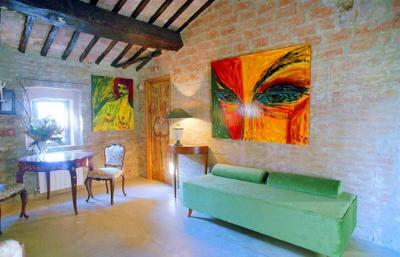 Relais Residenza D'Arte has been welcoming Booking.com guests since 23 Jun 2009. 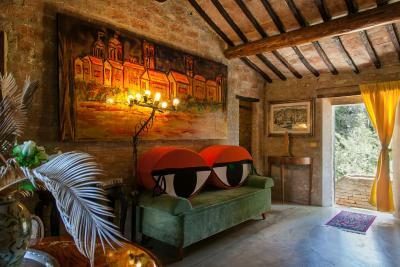 When would you like to stay at Relais Residenza D'Arte? 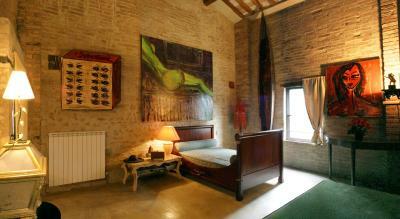 A spacious double room with a large bed and private entrance. 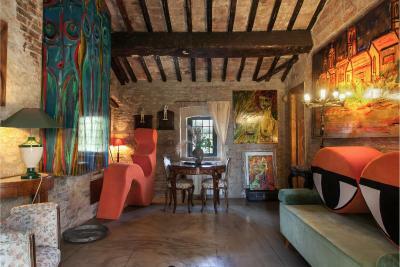 Large and comfortable, with private entrance, large lounge and a double bedroom with large bed. 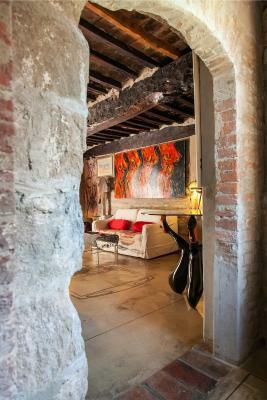 House rules Relais Residenza D'Arte takes special requests - add in the next step! 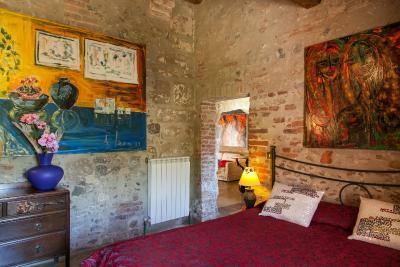 Up to two older children or adults are charged EUR 40 per person per night for extra beds. ATM card Relais Residenza D&#39;Arte accepts these cards and reserves the right to temporarily hold an amount prior to arrival. 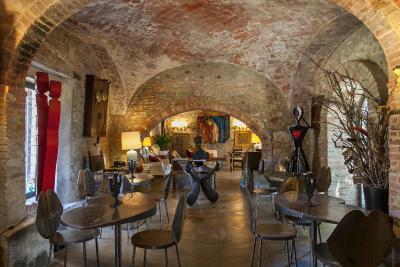 Relais Residenza D'Arte accepts these cards and reserves the right to temporarily hold an amount prior to arrival. 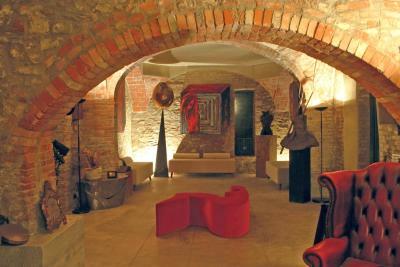 Please inform Relais Residenza D'Arte in advance of your expected arrival time. You can use the Special Requests box when booking, or contact the property directly with the contact details provided in your confirmation. Please note that the check-in and key-collection take place at: Località Poggio Madonna Dell, Olivo, 53049 Torrita di Siena. The hosts were incredibly friendly, genuine and truly helpful, suggesting the best places to visit near by, it's family owned business and you can feel that. 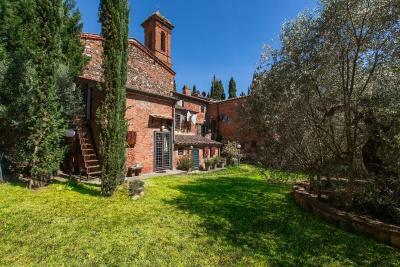 The place is very close to all the good areas in Tuscany, it's a good HQ from which you can make different plans everyday. I loved everything there...but above the feeling I hac when I arrived there. This place is totally different no any other hotel I have been or seen. 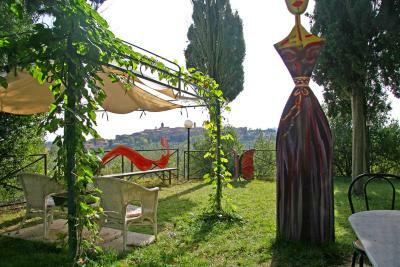 It is surrounded by a lovely landscape, art and nature. 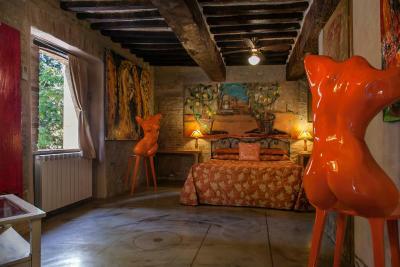 The rooms are like little museums of art. Totally unique. Also I have to say that Anna, Francesca and Bishop were exceptional with us, they did everything we wanted to make our stay unforgettable, and they did.